The credit card is one of the convenient financial inventions that can be used for day to day purchases like groceries, gas and other essential goods and services. It also helps us to purchase expensive items like Laptops, TVs, Jewelries and travel packages. But when it comes to the personal finance credit card is the most avoided thing by Sri Lankan People. Yes, If we didn't use it wisely credit card can be a headache. If we don't overspend and increase interest in our card, credit cards can give us great benefits in so many ways. Here are some unknown benefits of the credit card that you can get as a credit card user. Many Sri Lanka credit cards offer attractive bonuses for signing up with them. Such as zero percentage instalment plans for some products, Large sum of bonus points, complimentary flights and other perks. Normally credit cards have high-interest rates, so it's useful If they offer zero percentage instalment plan for certain goods by partnering with the merchants, especially if you are buying some expensive products, you don't need to pay the full amount at once and burden yourself. With the rise of online shopping and eCommerce in Sri Lanka these signup bonuses have been attaining popularity among Sri Lankan citizens. IF you are in a sudden need of money, you can get a cash loan from your credit card. Most of the credit cards offer 50% of cash loan from the credit limit you have on your card. Of course, you have to pay a service charge fee and interest rate for your cash loan but the interest rate is comparably lower than the credit card rate. Even you can have the facility to convert your cash loan into an Installment. Cashback credit cards pay the certain percentage of money back into your credit card account which you have spent from your credit card. Based on your monthly expenses; your cashback cards will save you money. According to the cashback rate of your credit card, you will receive your cash back amount. The cashback rate percentage differs from card to card. 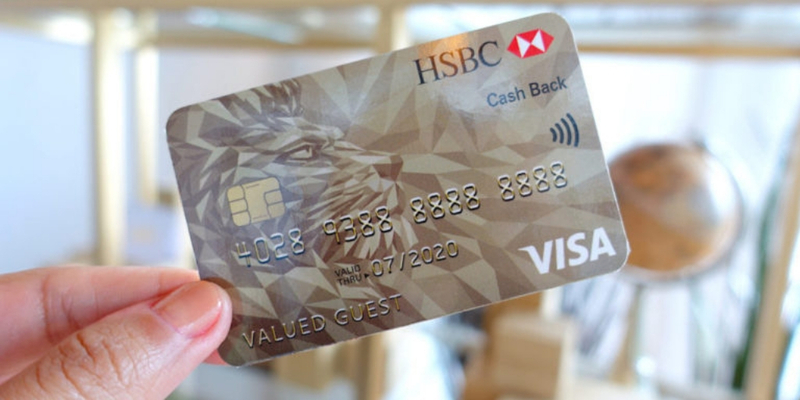 If we take HSBC Platinum Cashback Card as an example it offers 10% of cashback on mobile, for fuel and supermarket bills and also you will get 0.1% cash back on every other expense. Many Credits cards offer a number of complimentary for their consumers, like Car rental insurance, extended warranty insurance, purchase protection insurance and overseas travel insurance. If you travel out of Sri Lanka it can be a great use for you because you don't need to go through the difficulty of obtaining separate travel insurance. Just talk with your credit card company and confirm whether they are offering travel insurance or not. If they offer travel insurance then you can easily make yourself eligible for the travel insurance by buying your flight tickets using your credit card. Most of the credit cards offer reward points for each purchase you do from their credit card. For example, your credit card offer 10 points reward for every 1000 rupees purchase you made from your credit card. You can redeem and spend your reward points for car hires, flight tickets booking, grocery shopping and etc. Contact your credit card company to get know about your credit card reward points and the redeem methods. You can convert your credit card purchase to an instalment plan. If you are purchasing a TV for RS: 65,000 and your merchant is not offering an instalment plan for your purchase, you can ask your credit card company to convert your credit card purchase into a 6'12 0r 24-month instalment plan. The interest rate can vary according to the months you have selected. Credit cards are much easier to use online. Most of the credit cards offer fraud protection and security. So you don't need to worry about your money when you do online shopping and most of the online shopping sites offer more benefits to their credit card customers. So it's a great method to save your time on shopping. If you like to improve your credit score then responsible use of credit card will help you, because usually, credit card companies report your payment actions to the credit card bureaus and in the credit report use of debit card does not appear. So credit card only helps you to build your credit. These are some of the unknown or lesser-known advantages of credits cards. If you have good financial discipline and you spend less than you earn, then a credit card can be a beneficial financial tool for you. You can get amazing benefits as a credit card user. If I missed out any important benefits of the credit card, let me know in the comment below!